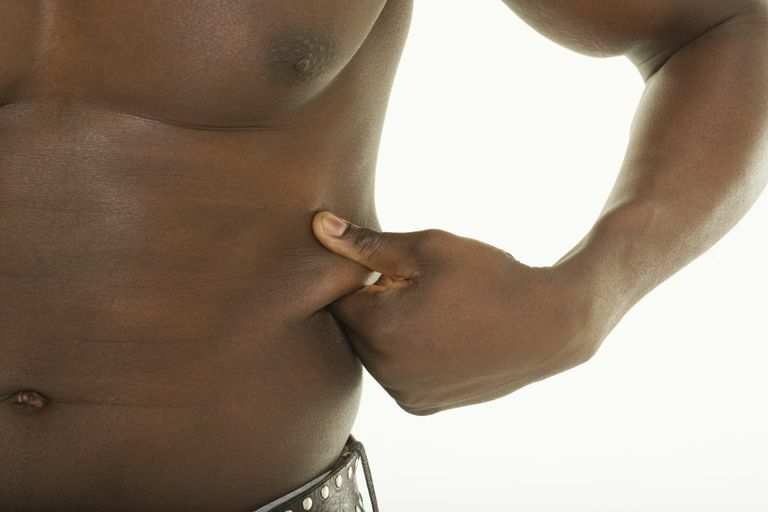 Guys, is it time to get rid of your beer belly? Is your waistline expanding beyond your control? If the answer is yes, you’re not alone. Men often hold weight in their midsection. But trying to find the best way to lose belly fat for men can get confusing because experts often disagree. As you might expect, the best program to get rid of your gut involves diet and exercise. But what you might not expect is that your program should start with a trip to your doctor. If you are overweight, reducing your overall body size is probably a good idea. But belly fat deserves special attention. Research has shown that holding abdominal fat can be particularly problematic to your health. Numerous research studies have shown an association between an increased waist circumference and an elevated risk for heart disease and other conditions, including metabolic syndrome and type 2 diabetes. Of course, your waist circumference is only one measurement that your doctor will use when evaluating your overall risk for different medical conditions. But if you and your physician determine that belly fat puts you at higher risk for heart disease or even death, then it may the motivation you need to get rid of your gut. So what’s the best way to reduce that beer belly? Not surprisingly, the solution requires careful attention to both diet and exercise. But which component matters more? Several recent studies suggest that exercise plays a more important role in maintaining a lean belly. One study identified aerobic activity as a key factor. Researchers found that men who had higher levels of cardiovascular fitness (also called aerobic fitness) were more likely to have leaner midsections, even if those men were overweight. Alan J. Flint, Kathryn M. Rexrode, Frank B. Hu, Robert J. Glynn, Hervé Caspard, JoAnn E. Manson, Walter C. Willett, Eric B. Rimm. "Body mass index, waist circumference, and risk of coronary heart disease: A prospective study among men and women." Obesity Research & Clinical Practice July 2010. Eric J. Jacobs, PhD; et al. "Waist Circumference and All-Cause Mortality in a Large US Cohort." JAMA Internal Medicine August 2010. Mayo, Melissa J. Grantham, Justin R. Balasekaran, Govindasamy. "Exercise-Induced Weight Loss Preferentially Reduces Abdominal Fat." Medicine & Science in Sports & Exercise February 2003. Rosane Ness-Abramof, MD, Caroline M. Apovian, "Waist Circumference Measurement in Clinical Practice." Nutrition in Clinical Practice August 2008 . Wong, Suzy L.Katzmarzyk, Peter T. Nichaman, Milton Z. Church, Timothy S Blair, Steven N Ross, Robert. "Cardiorespiratory Fitness is Associated with Lower Abdominal Fat Independent of Body Mass Index." Medicine & Science in Sports & ExerciseFebruary 2004.